Spending a Weekend In The Mines #WurmOnline – Nomadic Gamers, eh! I love boat caves. There are some pretty impressive ones I’ve seen over the last six months. 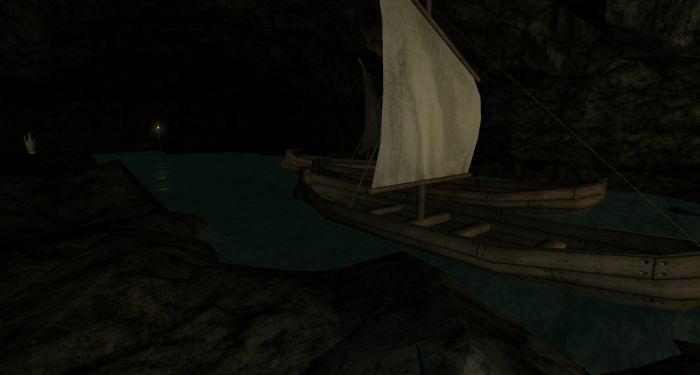 My neighbor Yetian has been building one to house boats that come to visit him, and Hord has some of the most impressive boat tunnels I’ve ever seen before. It involves a lot of mining, and since mines are 2D and not 3D it makes for some interesting times.You can’t build mines directly on top of one another because it will create dangerous drop shafts (there’s no falling damage in mines, but you may find yourself stuck and surrounded by creatures who are eager to chew off your face). This weekend I had to work on fixing my mine quite a bit due to some collapsing that happened. I actually didn’t mind as there was a large portion of my silver mine that was pretty much un-useable, the floors were all crooked and you had to climb up them to get out of the pit they were situated in. A few shaker orbs later, and things were looking much better. Added some reinforcement beams and they were looking nice and secure. I even had some time to work on my jewel crafting which has been sorely neglected these past few weeks while I worked on my weapon smithing. It’s a holiday here in Canada, Victoria Day, so I’m enjoying one more game-filled day (it’s really warm out and me and the heat don’t get along that well) before getting back to the grind on Tuesday. I hope everyone has a fantastic time, no matter where you find yourself. Happy gaming!